Today was a day of reflection. Recently, I got news of a friend that was sick. She really didn’t know how sick she was until she went to the doctor. This made me think a lot about what has happen in the last year after my three-mile walk. I don’t know my max weight, but I thought about how I felt a year ago. I thought I felt OK and was in reasonably good health. After my walk, I was not tired and have more energy. Recently, I visited my cousin and I could really tell the difference. Last year we walked from the garage to a club and I had to rest after a few blocks and when we got to the club I sat the whole time there. After the club, I waited for my cousin to drive around to pick me up. This year, we did something similar. I walked to the club and did not break a sweat. It was also farther away. I stood for approximately three hours then walked to a second club. After we finished in that club, we walked back to the garage. At no point was I out of breathe or in need of rest. At his home, I climbed up and down the steps with no problem. There are times when I wonder how close was I to a heart attack, diabetes, or worse: death. I felt good, but now I feel so much better and I am sure with more weight loss and exercise I will feel even better next year. This brings me to LEGACY’s tutoring program. A year ago we started a tutoring program partnered with PACES (Wyandotte Mental Health) and I thought we had much success. On Tuesday, May 15, 2012 we concluded the second year of tutoring. I feel much better this year than I did last year. Due to budget cuts, low volunteer turnout, low donations, and other forces, the program was on the brink of shutting down at one point. I was frustrated and had to dig deep in my spirit to fight for these students. We had days where we had 10 – 15 students and two volunteers. We had days that we had five volunteers and two students. Every week seemed like a new battle, but I remained encouraged. My thought, I have to get more people to come out and make this a priority. What I am most proud of concerning this year’s program: We had a success rate of 85 – 90 percent of students increasing their grades by two or more letter grades. One student is aiming for all A’s. We had a student increase their grades but let their grades fall, so they had to come back so they could participate in sports. We tutored in algebra, reading, theater, instruments, geometry, English, physics and drama. We also saw the intangibles. Normally quiet and reserve students were speaking up and participating with the group. We had two students (13 &14) who are considered geniuses come out and tutor. One student who was satisfied with going to community college and that would be the height of her success. She really was not interested in college much at all. I found out today she has been accepted to University of Missouri – Kansas City and wants more out of life. I can’t capture every single success story, but I can say this year we are better off than last year and next year we will be better off than we are now. Thank you to all tutors that gave of their time when they had the chance. It really was appreciated. 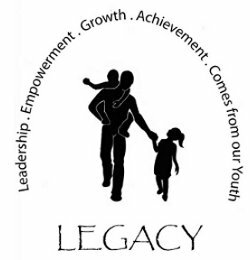 Thank you PACES, LEGACY’s Board of Directors, Nadine, Joyce, Danielle, Elicia, Richard, Greg, Tywla, Justin, Melvin, Jaquita, Dorian, Kharrington, and Shanta. You don’t have to be an expert in a subject matter, just need to be an expert in your time and willing to share it.